The City of New Orleans welcomed Susan Hutson as the Independent Police Monitor in June of 2010. Prior to accepting the position in New Orleans, Ms. Hutson worked at the Los Angeles Police Commission’s Office of the Inspector General as an Assistant Inspector General from June of 2007 until May of 2010. Ms. Hutson holds an undergraduate degree from the University of Pennsylvania and a J.D. from Tulane University School of Law. After law school, she joined a small firm of lawyers, where she had a general practice. She left private practice to join the Corpus Christi City Attorney’s Office where she served as an assistant city attorney prosecuting cases in the Municipal Court. She became Chief Prosecutor and later moved to the Employment Section, where she advised city directors on numerous employment matters, including disciplinary, constitutional, discrimination, and compensation issues. Her primary responsibilities were consulting with the Chief of Police, the Fire Chief, and other supervisors on misconduct investigations and representing the city during arbitrations and civil service hearings. Her experience in dealing with Internal Affairs and civil service law led her to the Office of the Police Monitor in Austin, Texas. She began as the Assistant Police Monitor in August of 2004 and took over as the Acting Police Monitor in January of 2006. Stella Cziment is an advocate and attorney dedicated to serving the city of New Orleans. Stella has an extensive background in public interest with an emphasis in community development. Prior to her position as the Deputy Independent Police Monitor, Stella was the Director of Enrollment Transitions for the Recovery School District and the Director of the Student Hearing Office for the Orleans Parish School Board. As a director within the school districts, Stella coordinated a team and oversaw the operation of the Student Hearing Office, the Hardship Transfer process, the enrollment of students returning from adult incarceration or other system related breaks in education, and the enrollment and transfer of students receiving SPED services. Stella also coordinated the development of district-wide policy regarding student discipline, enrollment for students in non-traditional circumstances, and the transfer process. Stella’s efforts resulted in a 33% reduction in expulsion hearings for two school years in a row. Prior to her work at the school district, Stella defended residents of New Orleans in Criminal District Court and Orleans Municipal Court as a public defender. For more than three years, Stella coordinated investigators and client services advocates and designed defenses for individuals accused of felonies and misdemeanors. She frequently represented high school students with the goal of keeping these young adults conviction-free. 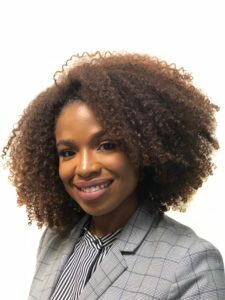 Stella attended Tulane University Law School where she clerked for the community development division of the Lawyers’ Committee for Civil Rights Under Law in Washington D.C. and the New Orleans office of the U.S. Equal Opportunity Commission. 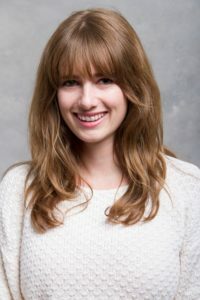 Stella attended Beloit College for undergrad and designed a major in Community Development. Tonya McClary is a lawyer, minister, healer, activist, organizer and artist. She has had a long career in indigent defense and criminal justice advocacy. In June of this year, Tonya joined the Office of the Independent Police Monitor (OIPM) in New Orleans, Louisiana as the Chief Monitor over Use of Force cases. Before joining OIPM, Tonya was in private practice. The work of her law firm included criminal defense, mitigation and human/civil rights cases. Tonya also has enjoyed a career as a public defender in various offices across the country. These offices include, (1) the Regional Public Defender for Capital Cases in Texas, (2) The Public Defender’s Office in Baltimore, Maryland and (3) the Orleans Public Defender’s office in New Orleans, Louisiana. Tonya has also been in leadership in a majority of the public defender offices where she has worked. In Maryland, Tonya served as the Circuit Court Chief in Baltimore City and had responsibility for a staff of approximately 60 which included attorneys, paralegals, legal secretaries, investigators, social workers and intake workers. Tonya also worked as a Supervising Attorney at the New Orleans Public Defender’s Office. In addition to Tonya’s works in the courtroom; she has also spent many years as an advocate for policy changes and reform regarding issues impacting the criminal justice system, locally, nationally and internationally. Tonya has also spent many years working directly with impacted communities as a community organizer on criminal justice issues. Her work has encompassed issues regarding policing, juvenile justice, women and girls and human rights violations. Tonya’s work has taken her around the world as a lecturer and trainer. Tonya also works inside prisons leading and facilitating various art programs she has developed, that are conduits for healing. Tonya is a 1994 graduate of the University of Baltimore School of Law. Bonycle Sokunbi is a life-long public servant committed to serving the people of New Orleans. Prior to joining the Office of the Independent Police Monitor as the Executive Director of Community Relations, Bonycle proudly represented the people as a prosecutor in New Orleans for more than five years. Whether in the courtroom or in the community, Bonycle has worked to further a vision of a safer, fairer and just New Orleans for all. As a prosecutor, Bonycle led the prosecution team in cases ranging from low-level misdemeanors to the most egregious felonies, while utilizing responsible and ethical discretion to ensure her convictions were thoughtful and comprehensive. Bonycle recommended first-time offenders to diversion to help them avoid a criminal conviction and ensured that those found guilty were held accountable for their crimes. Bonycle had the unique opportunity to work with families and survivors on both sides of the courtroom. Bonycle quickly learned that all could be touched by policing, the importance of police accountability, and the lasting impact of responsible and positive policing in the city. Bonycle graduated from Loyola University New Orleans College of Law in 2012. While attending Loyola, Bonycle’s stellar trial advocacy skills earned her the esteemed Barrister’s Award and graduated undefeated in trial advocacy. Now, Bonycle gives back to the young adults in the city by mentoring and leading a trial advocacy program for high school students. Please contact us regarding your interest in this position. Renee’ Livious joined the Office of the Independent Police Monitor in January 2016. Renee’ holds an M.A. in Accountancy and a B.A. in Accounting from the University of Phoenix. She is the proud mother of three sons and a loving wife. She enjoys bowling and sports. She is a military brat who has traveled the world with her parents while they served in the United States Air Force. She has lived on and off in New Orleans since a child. Jules has worked with the Office of the Independent Police Monitor’s Community-Police Mediation Program since 2014, first as a volunteer and then as a mediator, and as a contractor assisting with program development, training, evaluation, and operations of the mediation program. She joined full time as the Mediation Program Director in October 2017. In addition to her mediation work, Jules is a facilitator and trainer of Restorative Approaches and has worked with the Center for Restorative Approaches, providing conflict resolution in New Orleans schools and working to intervene in the school-to-prison pipeline. Previously, Jules’ work has encompassed issues regarding public health, human rights, and community education. She worked for four years for Breakthrough, a human rights organization that uses art and media to raise awareness on women’s rights, HIV/AIDS, immigrant rights, and racial justice in the US and India. She served as Program Director for the Heart Rescue Project in Philadelphia and has worked on issues of food security and senior health at the Elderly Project and Santropol Roulant in Montreal. She is a co-founder of the MoBo Bicycle Co-op, a community bicycle education project in Cincinnati. Jules received a BA in history and humanistic studies from McGill University in Montreal. Abe Lowe IV joined the Office of the Independent Police Monitor in October of 2017. He obtained his Bachelor’s Degree in Business Administration with a Minor in Psychology, Marketing, and Management from Southeastern Louisiana University in Hammond, Louisiana. Abe attended law school at Florida Coastal School of Law in Jacksonville, Florida where he obtained his Juris Doctor and graduated in the top half of his class. Abe has worked in criminal and civil defense both in the public and private sectors. Mr. Lowe is a passionate advocate for social and criminal justice reform. He enjoys fighting for the rights of the underserved. Mr. Lowe has spent time volunteering in the community, focusing mainly on at-risk youth both in Florida and Louisiana. Abe is also an artist and author having published two autobiographical poetry books. Abe is the proud father of 3.